Rarely has a show moved to the West End at the lightning speed with which the RSC have transferred Death Of A Salesman. Opening in Stratford upon Avon only last month, to rave reviews across the board, Greg Doran's interpretation of the Arthur Miller classic features Antony Sher as Willy Loman, the titular doomed salesman. 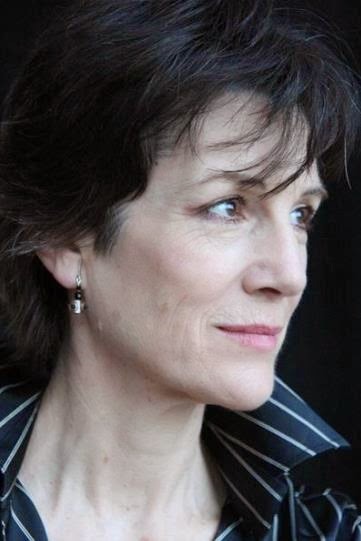 It is Harriet Walter however, one of our finest performers and arguably the RSC's leading lady of her generation, who plays opposite Sher as Linda, Loman's long suffering spouse. 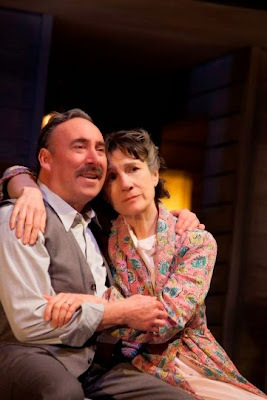 Having reviewed the Stratford production, I can confirm that both actors deliver virtuoso performances - with Walter in particular giving a finely tuned display of loving loyalty, made all the more excruciating as she witnesses her family disintegrate before her eyes. Few playwrights have offered such a devastating analysis of the complexities of marriage and maternity as Arthur Miller does with Linda. 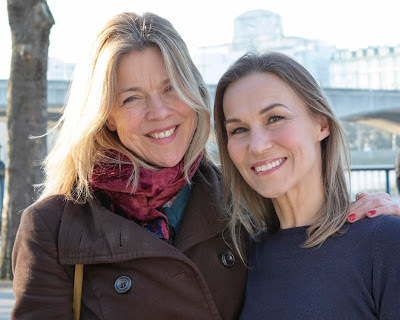 The RSC company were completing their rehearsals last week, prior to opening at London's Noel Coward Theatre, when I caught up over lunch with Harriet to learn more about her remarkable interpretation of Linda. JB: Harriet, thank you for finding the time in your hectic schedule to talk. 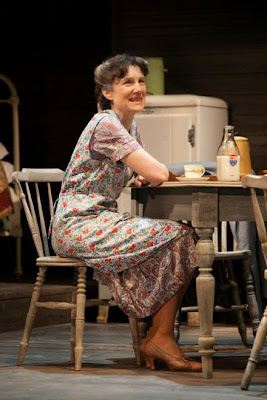 I'm going to dive straight into the role of Linda and ask, what you have found to be the key elements in bringing this woman, who is pivotal to the story as both a wife and a mother, to the stage? HW: Well, first of all, I had seen the play before but only some time ago, so I hadn't really got a great recollection of the part and so it helped that I came to it with fairly innocent eyes. I've come from a company where I've been playing Henry IV in an all-female Shakespeare, so it was quite a twist for me to be playing a character who is completely, ostensibly selfless and whose own ambitions are thoroughly sublimated in her ambitions for her family. It really wasn't a very long step to realize that the part was my mother, that it's my mother-in-law and that it’s several million women, still, in certain parts of the world. JB: To what extent, if at all, are you able to identify with Linda? HW: There are parts that are very close to you and you just bring your own experience to them and there are parts that are not at all close to you and you have to censor yourself and restrain your own reactions and think very honestly about that character within the context of the play and ask yourself: Do you know anybody like that? The answer is, there are plenty of people like that and some of them, like Linda, do appear to be almost saintly. You don't get any sense of her own resentment, in any direction, of what she's putting up with. In a world where that was considered the norm, she doesn't consider herself particularly unfortunate. There is no self-pity in the role. I have to add, that there's also no self-pity in the role of Willy Loman, which I think is the great strength of Antony Sher's performance. I just felt, with Linda, she was somebody who doesn't have any sense of being pushed aside, or of not being allowed to express her own wishes, she has no feminist agenda and she has actually reduced things to a very simple equation, which is that whatever makes Willy happy and stay alive is what she will do and anything that obstructs that, even if it's the presence of her beloved son in her house, whom she would normally love - she's telling him he can never come back if he's going to upset his father. It's a bit like Sophie’s Choice really.She literally has to choose between her son and her husband. I think that it’s awful that she has simplified it down to that, but that is just a decision that she's made and that's got to happen. Obviously there are lots of complicated emotions underneath that, but I don't think she allows them to surface. JB: Linda is obviously aware of Willy's state of mind, but do you believe that she is aware of his infidelity? HW: It's so varied, but there are indications from Arthur Miller that deep down she is troubled. There are two moments, which I'm sure you observed, when she's about to talk about a woman who saw the car crash and she says: "Apparently there's a woman, ..." and her son Biff interrupts her and they talk over one another in the script, talking at the same time. Biff says: "What woman?" She says: "What?" and their dialog is overlapping one another and then she says: "Now, what did you say?" and Biff replies, "Nothing. Just you carry on." And you have to ask, now why does a playwright bother to put that little interruption in? It's brilliant. It just indicates that somewhere, she has got this trigger reaction, because somewhere in her subconscious she’s thinking, "He's out on the road, why wouldn't he? He gets lonely," and then he's obviously behaved slightly differently towards her and he's pounced on her about the stockings. It's not like Linda’s going to put it together, but I think she knows something. It's like, as I said before, it's a restraint. Personally, that is very alien to me, to bury your own worries and to sit on things. And then Linda does have a little strange question at the end of the first act, when she’s just got Willy settled to go to bed and everything's seemingly calm. She goes and says, "Willy, dear, what has he got against you?" and I thought to myself: Why does Linda bring that up now? He's calm Linda, what are you doing? And then I realised that this is the only moment that she loses her guard and is not being very sensible. Linda is so troubled by this, because ten minutes earlier, Biff has said, "He's a fake," and that has caused her this little ripple. That ripple has stayed with her, so that she wants her husband to elaborate and so she goes on to say, "What has he got against you?" and Willy replies, "Don't talk. Let's go to sleep." The next thing she then says is, "Will you ask Howard to let you work in New York," which in my opinion means, "I want you here where I can keep an eye on you." It's all very clever. There's no spare word in the play that isn't used, so you know that every word you say must be a clue and if you haven't found out why you say something, it usually goes with the bits that seem odd, or the bits that, if you examine them, you'll go on to find an interesting answer. JB: Thank you for that remarkable insight. Moving on, Death Of A Salesman has been described as the greatest American play. Give me your thoughts on that description and upon Miller's writing. HW: I absolutely agree, it is the great American play and inasmuch as America's ethics affect the whole world, with the notion of success and failure being down to the individual, the idea that you've got this country where everything is possible, so if you're not making it, it must be your fault. That's an incredible burden to put on an individual, but it comes with the notion of liberty. It's an American dream and it's an American ideal, but it filters down to everybody and that's why the play works in so many other countries. I think it's also astonishingly well-crafted, considering Miller was 34 when he wrote it. There's not only the compassion and the understanding he has for all the characters and the intricacies of family life that are so brilliantly realized, but the actual structure of the play. It's just brilliantly constructed. I think it is one of the greatest plays I've ever been involved in. JB: Do you believe the play has a relevance to an English audience – and also, do you believe the play still has a message in 2015, nearly 70 years after it premiered on Broadway? HW: Well, I think the idea of parents and particularly fathers and sons, is probably going to be an issue that's with us forever and has been with us forever. The whole notion of the balance that parents have to play between imposing values on their children and playing out their own failures and expectations through their children, it is impossible to be neutral about your child. No child can be a blank page for more than a day of its life. I think the notion of parental responsibility to children, children fighting for their freedom to get out from under, is universal and eternal. The particular modern world that we're in is the same world that Arthur Miller was depicting in the sense that it's the post-war world of linking free flow of money and capitalism with freedom to behave how you want to behave and make your own world and make your own life, which is riddled with contradictions and disappointments. It's probably, as Churchill said, the best system we have come up with yet, so it's tying in the political world of how one generation hands down to another, with the family world in the microcosm of the family. The thing that's majorly changed is the role of women, but in many plays where you have to play this rather faceless, back-foot character in period pieces. 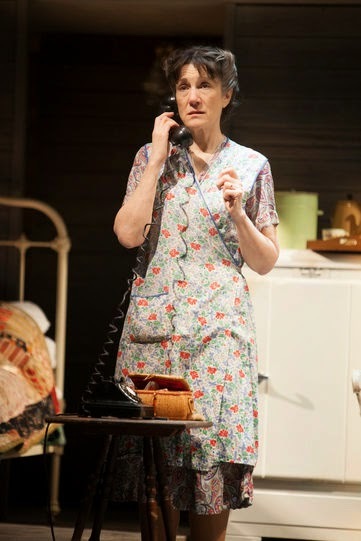 You do feel Arthur Miller is "paying attention”, in his own words, to Linda. I very much wish an Arthur Miller would write a play about women. To include feminism in the politics of the play would be great, but it doesn't. It's of its time. 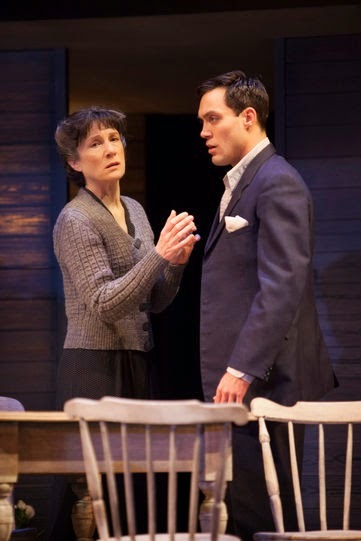 What Miller does do is to give you plenty of focus, though at least this production takes up the offer that Arthur Miller gives of focusing on Linda. When it's her turn, he gives her the last word of the play and I wish there was more. I don't know, I can't wish the play to be different, because it isn't, but to be truly relevant as a statement in 2015, you'd have to have the complication of the woman's voice arguing in there as well. JB: Tell me about working with Antony Sher. HW: I've worked with Antony before. He's rock solid, a unique craftsman. I think of him as a craftsman, because he does build a character three-dimensionally and sort of step into it. Then you look behind the eyes and he's incredibly alive. It's wonderful if you can believe the person you're playing opposite and Antony is quite a private man, so I know him on stage better than I know him off stage. That all contributes to being able to believe in what he's doing and believe in him as your husband. He's a great performer. JB: My final comment is much lighter! Cynthia Erivo, who acted with you in Henry IV at the Donmar Warehouse last year, described your knowledge – and above all, your willingness to share your knowledge as "immeasurable”. She described you as hilarious and lovely and a very cool woman whose inner kid is still alive and playing. HW: That is lovely. I don't think that inner kid ever dies, actually! JB: Harriet, thank you so much for your time and “break a leg” for the transfer.